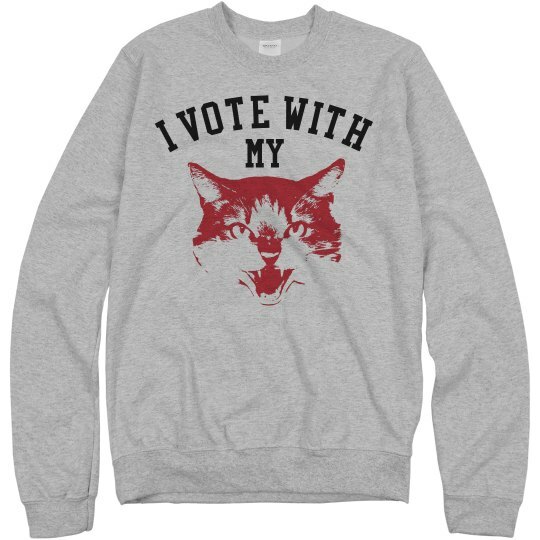 I am a woman and yes I vote with my kitty. It was the easiest decision I made not to vote for the now President Trump. Now I can sit back while all of his supporters wonder why he hasn't kept his promises.